PFLAG Blue Ridge works with local schools, health care providers, and businesses to provide training and education on issues of safe-space, gender diversity, and inclusivity. We have members available for panel discussions and seminars. If you are interested in having someone from PFLAG Blue Ridge talk with you or your business/educational institution, please contact us! Below are some of our most commonly requested educational materials. Feel free to contact us if you are looking for a specific resource or are interested in items from our lending library. You can find more suggested educational materials on our Resources page. 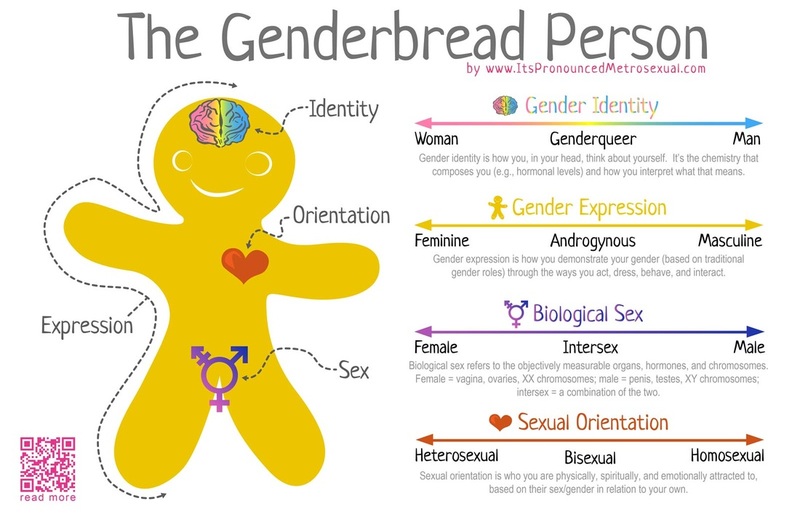 Published by the National Center for Transgender Equality, this 2-page .pdf file covers terminology used within the transgender community. Download the document from the NCTE website here. Many of PFLAG's most popular publications are free for download. Click the links below to download each title, or visit the PFLAG Bookstore to browse publications. Our Trans Loved Ones. Our Trans Loved Ones: Questions and Answers for Parents, Families, and Friends of People Who Are Transgender and Gender Expansive is a resource for parents and friends of transgender and gender non-conforming adults and youth. This guide will help answer some of your questions and concerns, providing information, resources and strategies on creating a safe space for transgender and gender non-conforming family and friends, as well as addressing your own feelings on the issue of gender identity and expression. Nuestras Hijas e Hijos: Preguntas y Respuestas para los Padres de Lesbianas, Gays, Bisexuales y Transgénero de Jóvenes y Adultos. A culturally appropriate Spanish translation of "Our Daughters and Sons," this booklet is a valuable resource for Spanish-speaking families coming to terms with homosexuality and bisexuality. The booklet answers commonly asked questions about having a GLBT loved one, and includes Spanish language resources. Faith in Our Families: Parents, Families and Friends Talk About Religion and Homosexuality. Discovering that a loved one is gay, lesbian, bisexual or transgender can pose new questions about your faith and may prompt you to re-evaluate beliefs that you previously took for granted. By using personal experiences, this publication provides examples for reconciling your faith with the knowledge that a loved one is gay. This publication includes an updated list of gay and lesbian religious and spiritual groups to watch out for. Download a One Page Summary. Be Yourself: Questions and Answers for Lesbian, Gay, Bisexual, Transgender, Queer, and Questioning Youth. A fresh new update to one of PFLAG's most popular publications! Revised in 2014, this publication offers a supportive and understanding approach to today's most common questions and concerns from youth regarding sexual orientation, gender identity, and gender expression. With youth coming out--and disclosing--at younger and younger ages, BE YOURSELF has never been more important. The publication also includes an up-to-date list of resources, including hotline numbers, other organizations, and more. Download a One Page Summary. Se Tu Mismo. This is the Spanish translation of PFLAG's publication, Be Yourself. The book is a great resource for Spanish-speaking youth and families. The Genderbread Person is courtesy of itspronouncedmetrosexual.com and is a useful tool for understanding and explaining gender identity vs sexual orientation. You may also download a high-res image or a .pdf version.